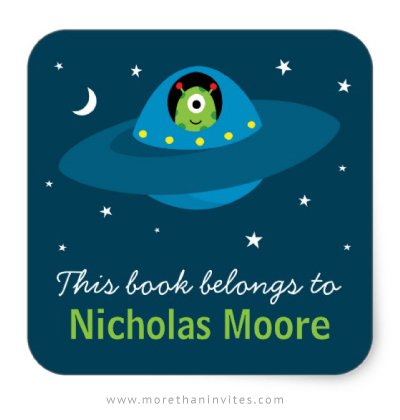 Cute bookplate stickers / book labels featuring a cartoon illustration of a little alien driving a flying saucer type spaceship in space with the moon and stars in the background. Customizable text “this book belongs to”. Personalize the name. 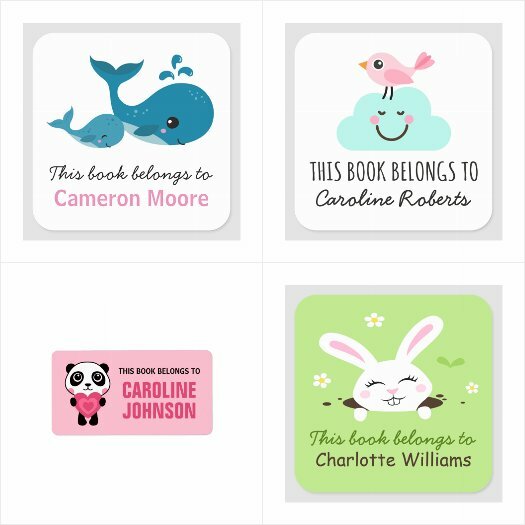 Cute design for school books and other books. Can also be made into more general property labels by changing the text. Available from Zazzle.